SSDP Outreach Coordinator Jake Agliata was in Indonesia from February 14 to February 25 as part of a cultural exchange program sponsored by the American Council for Young Political Leaders. This is the second of several blog posts that will serve as a small window into what drug policy, direct service, and activism is like in Indonesia. The first post can be found here. Over the course of this trip, we’ve learned quite a deal about drug use, prevention, and treatment in Indonesia. The last blog post proposed that Indonesia and the United States have more in common on drug policy than most people realize. This post will dive a bit more into the culture of drug use in Indonesia as well as how the country approaches addiction and recovery. To learn more about the stigma drug users in Indonesia face, we paid a visit to Persaudaraan Korban Napza Indonesia (PKNI), Indonesia’s largest drug users union, and met with their national coordinator, Edo Nasution. PKNI seeks to influence policy by conducting research of drug users in Indonesia, highlighting the dangers of punitive approaches to drug policies. Their research places a heavy focus on the rising HIV/AIDS rates in Indonesia and how that trend is directly connected to the lack of harm reduction services. Furthermore, their research has demonstrated how policies have been particularly harmful to women & non-cis-men, who often do not receive the same level of support as men in the country. Many PKNI staffers and members are active drug users themselves, and their additional mission is to empower drug users to share their stories in an effort to further influence policy. 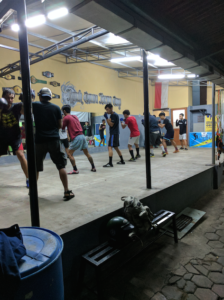 Rumah Cemara offers constructive activities such as boxing classes as a way for young people with problematic substance issues to stay off the streets. When talking with Edo, it became clear that as a whole, drug use in Indonesia is much less tolerated than in the U.S. Indonesia has the largest Muslim population of any country in the world, and though their government is secular, their culture and politics are very much driven by traditional, conservative Islamic values. This means that psychoactive substances are frowned upon by the general population. Caffeine and tobacco are common, but alcohol is only consumed by a fraction of the population that is nowhere close to the levels in Western nations. Using drugs is often considered to be a moral sin, and anyone who uses drugs more than 1 or 2 times in a year are considered to be drug abusers. The most commonly used drugs are stimulants such as methamphetamine, though opiates like heroin are also common, as is cannabis. Even though only slightly more than 2% of their population uses drugs, the Indonesia Narcotics Agency (BNN) is one of the largest departments of the Indonesian government. On Friday, we visited the BNN for a meeting with a director of the recovery division. This division of national drug enforcement aims to provide available and accessible rehabilitation facilities that create individualized treatment plans based on clinical assessments, diagnosis, and personal needs. They state that their goal is to provide evidence-based treatment centered around human rights and humanitarian values, and they actively encourage community participation in treatment. They meet these goals by funding both inpatient and outpatient recovery programs, usually run by NGOs. When someone is arrested for drug possession in Indonesia, they are either sentenced to prison or to a rehabilitation program. It’s no surprise that users who go through forced rehabilitation have a higher rate of repeated arrests and drug use. The BNN has seen much greater success among those who voluntarily admit themselves. Treatment is not only unnecessary for a large number of people it is forced upon, but much more effective when a user has decided for themselves that they would like to stop using drugs. During our meeting, we asked the representatives of the BNN if they thought that forced treatment was worth the resources they spend on it. While they agreed with us that it’s better when users voluntarily enter rehabilitation, they did mention that due to the Indonesian penal code, the only alternative to treatment is incarceration, and they would much prefer someone enter treatment than be thrown into prison. 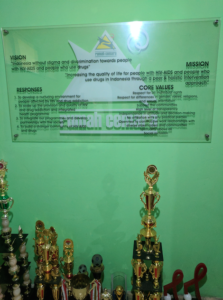 Rumah Cemara’s Mission, Vision, and Values, along with some of their sports trophies. Of course, like the U.S., Indonesia has much more success treating people with problematic drug use through evidence-based treatment. 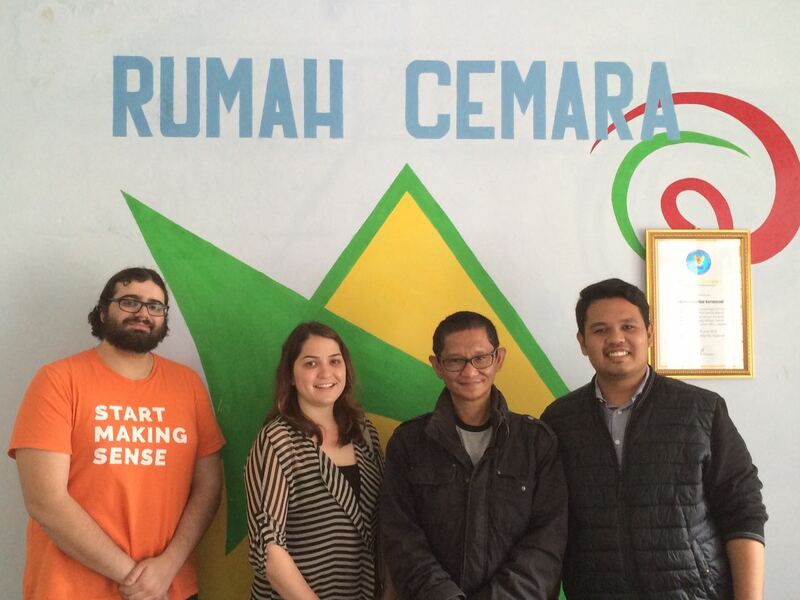 While visiting the city of Bandung, we had the opportunity to meet with one of Indonesia’s prominent evidence-based rehabilitation organizations, Rumah Cemara. Their vision is creating an Indonesia without stigma and discrimination towards people with HIV/AIDS and people who use drugs. This organization is unique in Indonesia in that they do not evaluate the success of their treatment based on whether or not their patients have stopped using drugs; rather, they focus on whether or not their quality of life is better after treatment. They achieve this vision by creating a nurturing environment for people affected by HIV/AIDS and drug addiction, and build a community of drug users that support one another. Rumah Cemara has both inpatient and outpatient facilities, and we got to tour both of them during our trip. At one facility, they hold discussion meetings as well as sporting events, intended to give users a place to go other than the streets, which is an unsupportive environment. We got to witness a boxing class and saw a video of the various soccer competitions their members engage in. At the in-patient facility, we sat in part of a meeting in which patients discussed their spirituality. At this facility, patients are free to come and go as they please and are not punished for wandering out into the town. The most important thing that Americans can do to support the efforts of PKNI, Rumah Cemara, and other Indonesia organizations that support drug users is sharing their work. Throughout this trip we have been asked by people why the global drug policy reform movement is leaving Southeast Asia behind. The perception among the Indonesian organizations we met with is that Americans do not care about their problems and that Westerners as a whole view reform in their region as a lost cause. They aren’t wrong; many Westerners see what’s happening in the Philippines, or hear about the death penalty in Indonesia, and feel like nothing they do can have a positive impact. Furthermore, there is a sensitivity among human rights organizations about intervening in SE Asian policy since political leaders like Rodrigo Duterte cite the bloody history of Western imperialism in the region as justification for their policies. None of this should stop us from being allies to the people struggling to change drug policy in Indonesia. 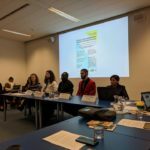 Western drug policy activists assume that a reform movement needs to be built from the ground up in Indonesia, when the reality is that the movement is already established. 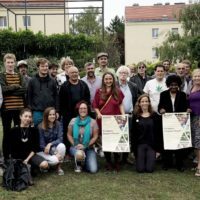 What local movement leaders need more than anything is exposure and access to resources, especially funding, that we have in the U.S. and elsewhere. 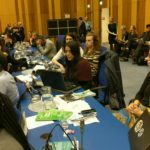 SSDP is in a unique position to provide support to SE Asian nations, as we offer human connections to young activists around the globe who have been affected by both drugs and drug policy. After this trip, I know that I am more dedicated than ever to facilitate those connections and build a global community of activists dedicated to supporting one another in our efforts to end the drug war once and for all.